The Republic of Tunisia, a key advocate for improving the quality of education across the Arab world, has become the latest country to formally announce its participation in Expo 2020 Dubai. His Excellency Beji Caid Essebsi, President of the Republic of Tunisia, confirmed the country’s official participation in a letter to His Highness Sheikh Mohammed bin Rashid Al Maktoum, Vice President and Prime Minister of the UAE and Ruler of Dubai. Tunisia’s participation in Expo 2020 Dubai reflects the country’s desire to take advantage of opportunities for cooperation and partnership, especially those aimed at empowering young people. The UAE and Tunisia share a common goal of improving youth education, with Tunisian authorities welcoming the implementation of the ‘Arab Reading Challenge’ in October 2015, the world’s largest project aimed at encouraging more Arab students to read. This initiative was launched by His Highness Sheikh Mohammed to encourage more than one million students to read 50 million extracurricular books every academic year. The UAE is one of Tunisia’s more significant trading partners, with bilateral trade worth AED 1.3 billion (US$354 million) in 2015. Tunisia joins a growing number of countries that have either publicly or privately confirmed their participation in Expo 2020 Dubai. It follows the confirmation last month that New Zealand will also take part. 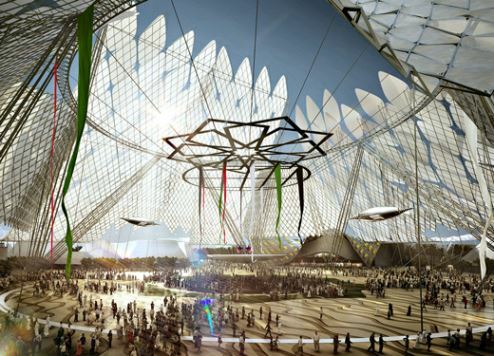 More than 180 nations are expected to participate in Expo 2020 Dubai, which opens on October 20, 2020 and closes six months later, on April 10, 2021. More national participation announcements are expected in the coming months.